We are supplier of Drum Set Cymbals. 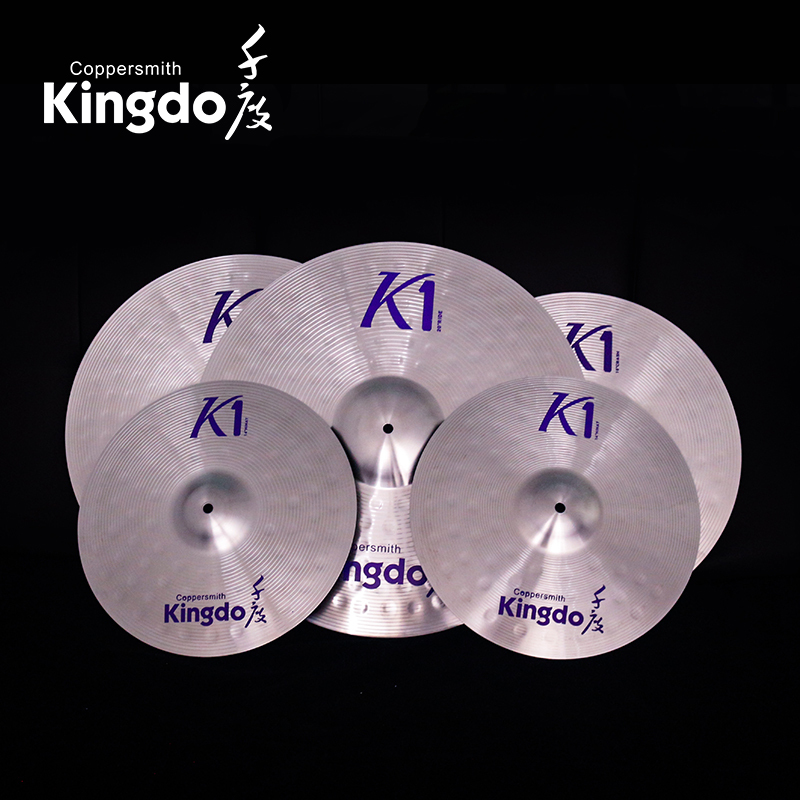 Our Kingdo Cheapest Practice Cymbals in the picture are Alloy Cymbals. Alloy Practice Cymbals For Drums have the price advantage . The Low Price Practice Cymbals are used for teaching or training. The Wholesale Drum Cymbals are very popular with the foreign countries. The set of alloy cymbals generally include 14'' Hi-Hat Cymbals, 16'' and 18'' crash cymbal and 20'' Ride Cymbals. The instrument practice cymbal are sold well all the time. The tone of Drum Practice Cymbal is wonderful. Welcome to inquire about the practice cymbals. Our company can OEM for you. Looking for ideal Alloy Practice Cymbals For Drums Manufacturer & supplier ? We have a wide selection at great prices to help you get creative. All the Low Price Practice Cymbals are quality guaranteed. We are China Origin Factory of Wholesale Drum Cymbals. If you have any question, please feel free to contact us.